Organic lawn maintenance is the ideal practice. Lawn maintenance service in Austin advocates implementing several easy but organic lawn maintenance tips that will make your lawn the envy of the neighborhood. With certain organic lawn maintenance practices, you wouldn’t have to spend unnecessarily employing the services of lawn care services. You can have that perfect lawn while going completely natural on your lawn maintenance culture. 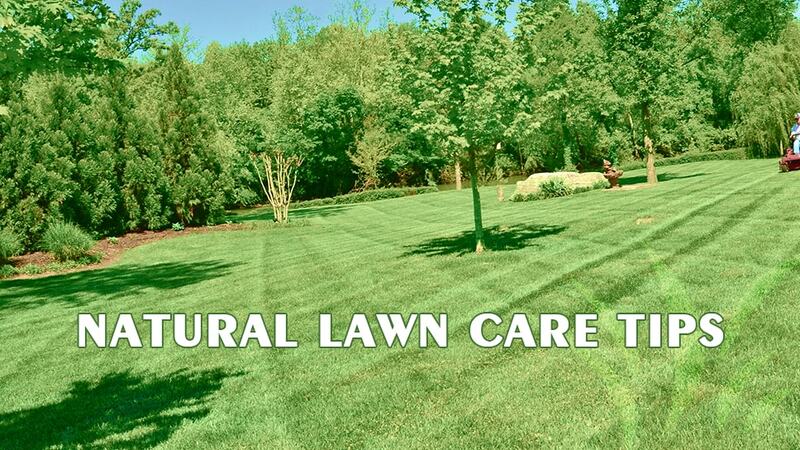 Below are some natural lawn care tips for taking natural care of your lawn in Austin, Texas. You can make use of organic matter to improve your soil fertility. This simply means you don’t need to buy inorganic fertilizers to improve your soil. There are organic fertilizers in the market you can use to improve your soil. They decompose completely over time leaving no compounds while releasing nutrients into your soil. Organic fertilizer also improves the water retention capacity of your soil by tightening up your soils looseness when it decomposes. Use natural agents when dealing with pests on your lawn. When in need to control pests, you can go for grub eating nematodes or ladybugs that feed on moths, aphids and caterpillars. Inorganic pesticides don’t breakdown completely and leave toxic compounds which affect your soil negatively sooner or later. Avoid over watering your lawn grass so they don’t develop shallow roots because of the lesser need to find water. When grasses have shallow roots, they find it hard to survive when there is drought or when the water supply has been cut off leading to drying out and death. When mowing your lawn, ensure that on the one third of the grass is length is cut. Most lawn mowing services in Austin employ this technique so you won’t have to worry if you hire a professional lawn mowing service. If you are doing the lawn mowing yourself, you might have to be careful so you don’t cut too low to the ground because too much removal of foliage exposes your grass to the scorching sun. Avoid mowing your lawn just after watering or a rainfall. It might to uneven cutting of the grass length. You have to avoid inorganic products like chemical fertilizers. Compounds from these products stay long in the soil causing havoc. They can kill your soil microorganism, break down the soil structure and leak down or run off into water bodies used by humans. Inorganic fertilizers are toxic and when consumed through contaminated water can lead to several health challenges. It is important that you pack and bag clippings after a weeding session to free the lawn surface to stay aerated. Weed and grass clippings when not removed can form tough, fibrous thatch that clutters the lawn after a while; it reduces aeration of the lawn grass and soil and limits the amount of sun reaching the lawn to carry out its metabolic activities like photosynthesis. Invite a lawn maintenance service on your location once in a while to take a look at your lawn and make necessary observations and analysis. As experts in lawn maintenance, they might see what you can’t see and help you avoid worse developments in future. If you need quick quotation for your lawn service, click below to get a quick quote.